The sense for invention in the field of sustainable energy and mobility belongs to the cultural heritage of the Alpine Space. Companies in these key economic branches have big business opportunities in international markets. However, these companies are mostly SMEs with low visibility, contacts or market access. They lack information about demands and technical problems abroad. Missing access to latest technological knowhow, limited access to finance resources and little experience to form cross-sectorial and international consortia jeopardize their growth. However, there is little attempt by local decision makers or business developers to join forces with these companies and implement effective regional development and marketing means. Brokerage events or other activities of supporting subjects have no quality assurance and could be organised in a more effective way. Not to speak about missing cooperation with tourism and technology marketing. Dozens of enterprises have been involved in AS projects and could prove their ability to develop and deploy innovative solutions in the field of energy efficiency and renewable energies as well as sustainable mobility. AlpEnMAT will capitalize on the experiences and results of these projects. It will bring together SMEs with buyers of energy technologies, municipalities and regions, institutional and private decision- makers as well as public and private financing institutions. In the Meetings on Advanced Technology they mutually promote each other, find partners and new market opportunities. 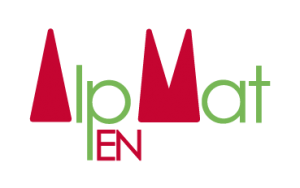 After all AlpEnMAT will help to stabilize the Alpine Space as an attractive place to work, to live and to invest in a quickly growing business framework. In other words: this new means of promoting Alpine technology and offerings will be a major contribution to the business development governance in Alpine regions and municipalities.